2" 20-22 Deg Round Head Bright Framing Nails, 6000 pc. 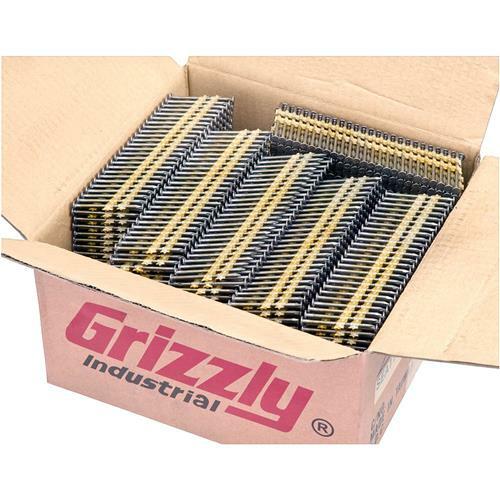 Grizzly G6091 - 2" 20-22 Deg Round Head Bright Framing Nails, 6000 pc. 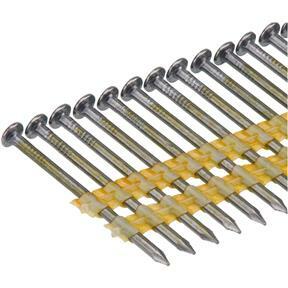 These 21° Round Head Bright Framing Nails fit the G6050, H7665, H7943 and Dewalt D51845 framing nailers. 6,000 pc. 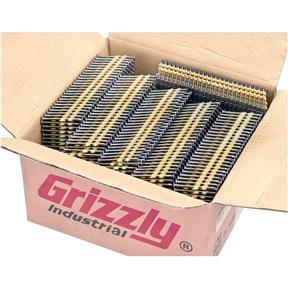 I purchased nails for a Grizzly framing nail gun I was given for Christmas. Now I understand why the nails weren't part of the gift. Pricey! I have yet to use the nails or the gun but have other Grizzly nailing guns that have been excellent, trouble free nailers. I have worked with other Grizzly "spikers" or "the big nailer" as we called them, and they too were essentially trouble free. I have many Gizzly tools and have been pleased with all but one. Grizzly products just keep getting better...and your technical support is great, advisors are always knowledgeable/helpful.